Anyone who’s familiar with my writing knows that I absolutely love Statcast. In addition to providing us data and statistics that we never had before, they also do an incredible job of turning that data into visualizations that help us better understand what is going on in the field. 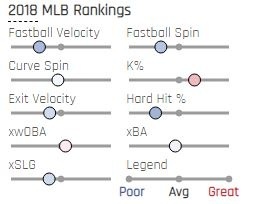 Recently they unveiled a new visualization about pitcher percentile rankings which can help show us how pitchers compare to the rest of their league in a variety of measures. 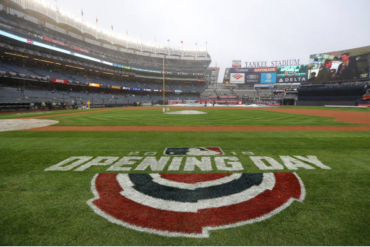 This week, I am going to take a look at the Yankees’ rotation, and then next week we will take a look at the Yankees star-studded bullpen. 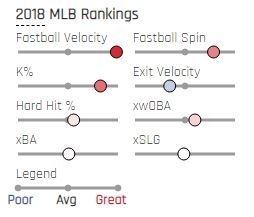 You can see how in addition to great fastball velocity, Severino has great spin on that fastball. That helps the pitch have a rising effect, which makes it look even faster. Used up in the zone, his fastball is nearly untouchable. That goes a long way to how he racks up so many strikeouts with his fastball despite not being the tallest pitcher around. Even though Severino throws so hard, his batted ball profile is near league average. 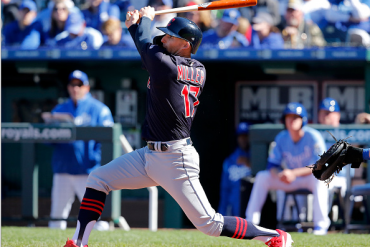 Great stuff + good batted ball profile = one hell of a pitcher. Paxton has elite fastball velocity and an elite K%, yet when batters make contact they hit the ball hard. 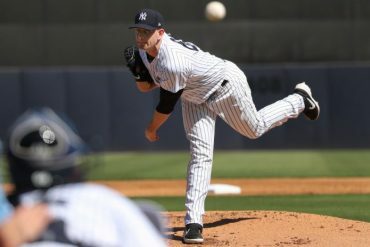 Average fastball spin rate and a below average curveball spin rate can help explain why batters are able to square Paxton up more than they should. Despite the hard hit tendencies, Paxton is able to sustain a low xwOBA and xSLG which means batters are not doing too much damage against him. The encouraging part with this is that it shows Paxton’s potential. If he can limit the hard hit damage, all the tools are there for Paxton to be an ace. Other than K%, Tanaka is at or below average in all of these respects. 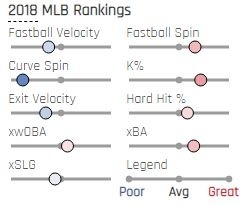 You can see that his fastball velocity and spin are both below average, which explains why this is such a poor pitch for him. His curveball is also more of the “get me over” type rather than a hard, biting strikeout pitch. Despite all this, Tanaka is an effective pitcher because of two things not shown here: his slider and his splitter. Both of those pitches are highly effective for him, and his splitter might be the best in baseball. And the picture shows why – despite low velocity, Happ has a great spin rate which makes the pitch more effective. And despite being so fastball heavy, Happ is still able to maintain above average K%. It is also encouraging that his batted-ball profile is above average because of Happ’s older age. 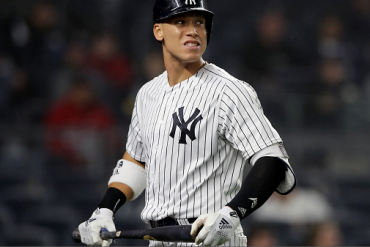 If we start seeing him give up more hard hits or a higher xwOBA, we should start to be worried about age-related decline. Similarly, if his spin rates start to drop, it might be worrisome. Last but certainly not least is the big fella, and lol is his chart something. Really low fastball velocity and spin but amazing batted-ball profile. CC succeeds now not by overpowering batters, but by preventing them from hitting the ball hard. 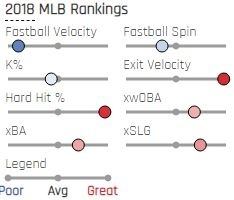 You can see how his exit velocity allowed is right up there with the league leaders, and this leads to great numbers in hard hit %, wxOBA, xBA, and xSLG. So long as CC is able to keep hitters off-balance and making soft contact, we should be in for one final year of great back-end rotation pitching. 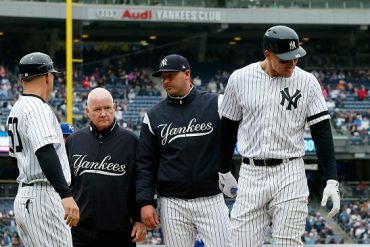 You can see the variety of stuff and approaches that the Yankees’ staff has. 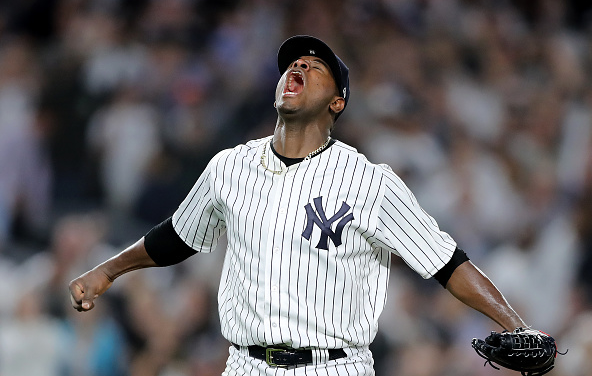 Severino is reminiscent of a fireballer who dares batters to catch up with his fastball and the same goes for Paxton. Tanaka relies on his off-speed pitches and only uses his fastball when necessary. Happ is somewhere in the middle with his fastball-heavy approach but not overpowering fastball velocity. And then we have late-career CC who uses his cutter and slider to perfection by avoiding barrels. 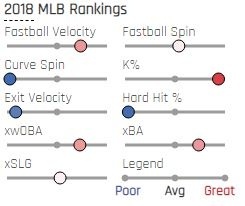 The point of all this was to show how these pitchers attack batters differently based on their stuff and that there is no one best way to pitch. 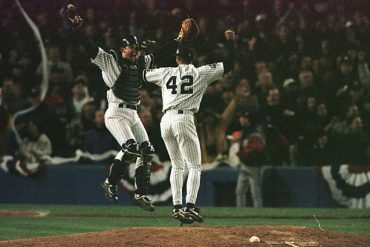 Next week we’ll take a look at the ridiculous Yankees bullpen. Spoiler alert: they’ll be a lot of red in the visualizations.